Em um dos comentários me pergntaram se poderia fazer estrelas parecidas com os brad hearts . Aqui está minha resposta : É CLARO , aqui estão elas . I always read them and someone asked me if is it possible to get little stars which look like the brad hearts . Here is my answer: OF COURSE and here is the stars . Carla -- These are just beautiful!! Thank you so much for sharing. I know I will use them a lot. Thank you so much for sharing.. I love the stars. Carla adorei , está lindo! 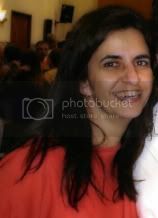 Obrigado pela visita ao meu blog, vi seu recadinho só agora, adorei as mudanças no seu blog, ficou lindo ! Those are pretty! Thank you! stars are just so pretty! thanks so much. 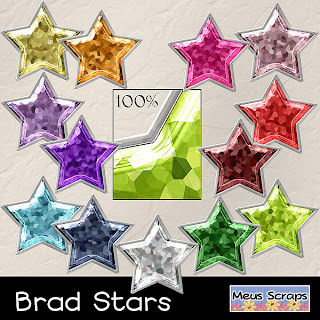 Thank you for the star brads! They're great! Sou fanzoca sua né... vc sabe que já tentei fazer esse efeito mas nunca dá certo! Brigo muito com esses actions. Lovely work - thanks so much!!!!!!!!!! thank you for the awesome brads-very nice! !